Ornamental grasses make a strong statement in any landscape design; and are the ultimate tool when creating a water-wise installation. A striking standout in the world of ornamental grasses is ‘Karl Foerster’. This handsome specimen looks stately in just about any style of design, be it prairie style or clean contemporary. ‘Karl Foerster’ offers seasonal interest beginning in spring with reddish purple inflorescence atop its sturdy upright stems. The flowers fade to an attractive golden brown as fall approaches and reach 6-feet tall at maturity. The dried inflorescence in winter can be left until early spring, or harvested for indoor arrangements. The clumping grass is narrow, growing to only 2-feet wide. ‘Karl Foerster’ prefers the cooler temperatures of spring and fall, so that’s when it will put on most of it’s new growth. The best time to cut back ‘Karl Foerster’ is in late-winter or very early-spring, before the new spring growth begins to emerge. to be cut back late winter before spring growth emerges. 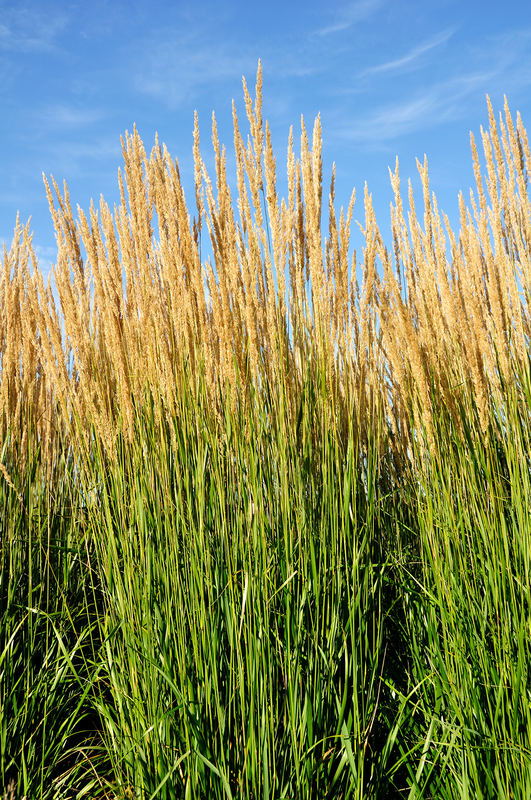 Along with an annual pruning you can also divide this grass every 2-3 years. This waterwise plant has virtually no pest or disease issues. Plant in full sun in cooler climates; plants will look more attractive when provided with some afternoon shade in very hot climates.